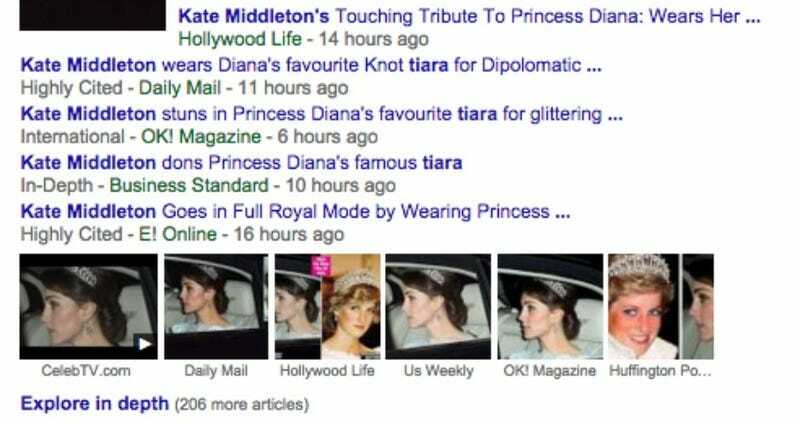 Kate Middleton wore a tiara, and it was international news. Will and Kate were attending an annual Diplomatic Reception at Buckingham Palace, Vanity Fair reports, and so Kate decided to break out “the Cambridge Lover’s Knot tiara, which was given to Princess Diana as a wedding gift from the Queen.” A woman wearing some of her too-soon-gone mother-in-law’s favorite jewelry is sweet but not shocking, but the results for “Kate Middleton tiara” might lead you to believe otherwise. Vanity Fair notes that this is merely the fourth time in her tenure as a royal that Kate has worn a tiara, thereby making it a landmark. Anyway, then she used a phone. Wow.